Azalea plants are members of the Rhododendron species, and sometimes the names are used interchangeably. The name Azalea is used to refer to evergreen Oriental species and hybrids, as well as deciduous native plants. Rhododendron usually refers to evergreen plants with large, leathery leaves. Most of the diseases that affect azaleas also affect rhododendrons. Azaleas grow best in well-drained, acidic soil in partial or full shade, but they will also grow in full sun if irrigated regularly. Good air circulation in and around the plants will reduce the chance of disease. Leaf galls are common on azalea plants but not harmful. The fungus Exobasidium vaccinii infects young leaves, blossoms or twigs, and forms fleshy, irregular-shaped galls. Old galls turn brown, shrivel and drop off. Remove and destroy any galls on infected plants, clean and destroy debris around plants, and prune to improve air circulation to reduce the incidence of leaf galls. The fungus Pucciniastrum vaccinii produces leaf rust during damp weather. Circular yellow flecks appear on the upper side of affected leaves, and patches of rust-colored spores grow on the under sides of the leaves. Although chemical treatment is not usually needed, leaf rust can cause severe defoliation in favorable conditions. The spores can live through the winter in dead plant material in warm climates. Remove and destroy debris from around infected plants to prevent the spread of the disease. Ovulinia azalaea petal blight affects azalea plants during cool, wet weather and can cause considerable damage to the flowers. The first symptoms are tiny, rust-colored spots on white flowers and pale or whitish-colored spots on colored blooms. As the spots enlarge, the petals become soft and watery, and the whole flower collapses. 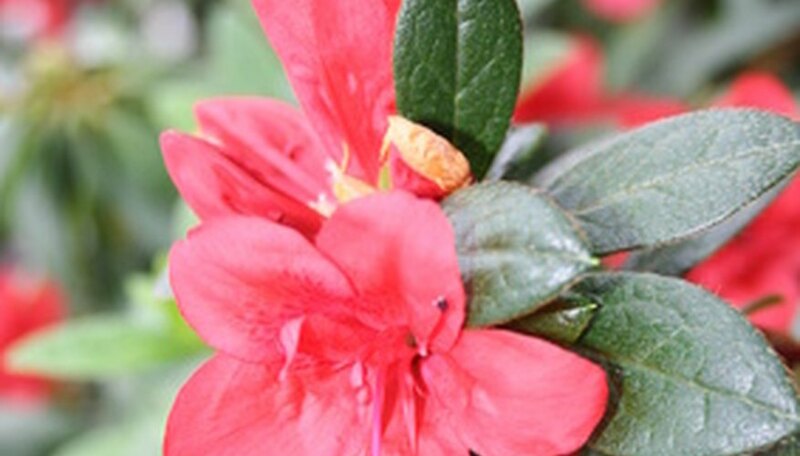 Use a fungicide for petal blight on azalea plants according to the manufacturer’s directions to prevent and control the disease. Root rot is caused by fungus Phytophthora and is usually fatal. Initial symptoms include small yellowish or purplish leaves and defoliation. Fewer and smaller stems grow in subsequent seasons and infected plants continue to slowly decline. Phytophthora is a soil-borne fungus that is difficult to control and chemical treatments usually are not effective. Avoid over-watering plants to reduce the chance of root rot.